ERIE, Pa. - Three runs in the sixth inning propelled the Erie SeaWovles, 4-3, over the Altoona Curve and snapped Altoona's five-game winning streak on Tuesday at UPMC Park. 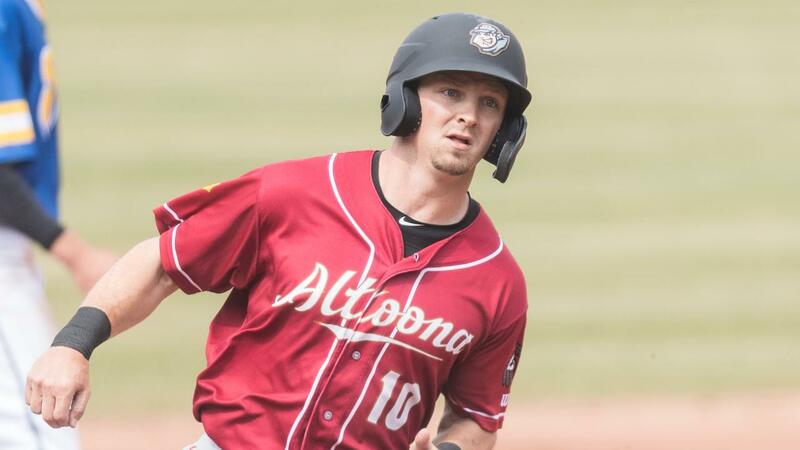 The SeaWolves (3-2) loaded the bases against the Curve's (5-1) starter James Marvel (Loss, 1-1) with one out in the inning with a pair of singles and a hit batter. After Marvel struck out Jake Rogers for the second out of the frame, Jose Azocar slapped a two-run single over the head of second baseman Mitchell Tolman to give Erie a 3-2 edge. A third run in the inning and the deciding run in the contest scored from third base after a wild pitch by reliever Sean Keselica . All of three of Altoona's runs scored on solo home runs while the bats went 1-for-7 with runners in scoring position. Hunter Owen blasted his second of the season to left during the second inning as the Curve went up, 1-0. In a 1-1 game during the fifth, Robbie Glendinning drove a homer of the right field wall and Tolman went deep in the ninth to cut Erie's lead to one run. Marvel shutout the SeaWolves over the first 3.2 innings to push his scoreless streak to 9.2 frames to kick off the campaign. After a pair of singles in the first inning, the righty retired nine straight hitters until Josh Lester singled with two outs in the fourth. The next batter, Daniel Pinero, drove a double off the left field wall and scored Lester from first to tie the game, 1-1. SeaWolves pitchers Nick Ramirez, Joe Navilhon (Win, 1-0), Drew Carlton and Eduardo Jimenez (Save, 1) teamed up for 11 strikeouts in the win. The Erie pitching staff has dealt the Curve 25 punchouts through the first two games of the series. Wednesday's rubber match against the SeaWolves and the road trip finale is set for 12:05 p.m. in Erie. Altoona will start right-hander Dario Agrazal (1-0, 7.50) against righty Matt Manning (1-0, 1.80) for Erie.